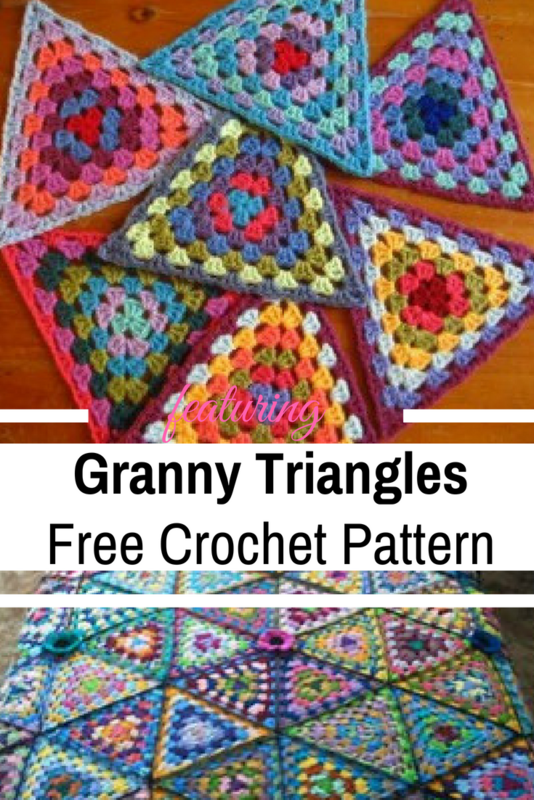 [Free Pattern] These Granny Triangles Are Quick And Easy To Make And Look Absolutely Gorgeous! Homepage » Free Crochet Patterns » [Free Pattern + Video Tutorial] These Granny Triangles Are Quick And Easy To Make And Look Absolutely Gorgeous! If you have lots of small amounts of yarn left over from other projects and don’t know what to do with it, here is a brilliant idea. These Granny Bunting Triangles by Lucy of Attic24 are a lovely way to play with color and make something beautiful in the process. Thanks to Lucy for article inspiration and featured image. Wonder what type of afghan you could make using these granny triangles? The answer is simple: gorgeous afghans and very different and unique! Go ahead and follow the link to the next page for the Crochet Granny Triangle Afghan. The video will be on the page after. Visit the Next Page link below for the afghan instructions. [Free Pattern] This Tropical Delight Square Leaves You Speechless! 321 Comments to [Free Pattern + Video Tutorial] These Granny Triangles Are Quick And Easy To Make And Look Absolutely Gorgeous! Use these to make barefoot sandals!! @[1318290864:2048:Emily Jones Christianson],j @[1290791967:2048:Joy Baskin]. I like these…thank you for posting! Nice! Need to know this one. Love them. I made an afghan with triangular motifs many years ago. I’ve been wanting to do another. Thanks for sharing! @[58300717:2048:Erika Schwane] these look cool!! Love these! Janet Kingery wish we could see what you made. @[1125053118:2048:Colin Loving], bookmark this too! @[100003169145543:2048:Donna Good], @[1053818049:2048:Margy Hall] these are cute! Hey @[100002732883068:2048:Marianne Armer] what about these for the ear flaps? @[100000278457555:2048:Judy Sisk Sisk-trumble] Aren’t these cute? @[100000819683910:2048:Janet Stevens Sanders], they are cute. They would be great coasters. love it ..its the besr pattern i have seen out there and easy too. They are very pretty! Were they really easy to make? Thanks in advance!! check these out @[1029750378:2048:Jessica Leigh Easter] aren’t they cool? How do you get the pattern?! I couldn’t figure out how to get to the pattern !! @[100008866815760:2048:Sylvia], the pattern is always linnked to the name of the pattern ( first letter capital ). In this case : These Granny Bunting Triangles by Lucy. Click on the link please. I have also made granny squares for over 50 years and can’t wait to try these triangles. Since I crochet purses this will be a new granny square to use to make these. Those are cute! Would be fun to make with scraps! Grams sister Hilda Jackson made this pattern and I copied it. It is really pretty. Thanks. Nice change from the regular Granny square. Think I am going to give it a go. That is quite an idea to look more like a quilt. Debbie… this is my next project!!! @[1347075909:2048:Melanie Dreyer-Kenoyer] have you ever made triangle granny squares? got to looking at the site and all I can think of now is Christmas Trees!!!!!!!!!!! Would love to see some finished projects with them! @[100000156564680:2048:Cathy], please click where it says Granny Bunting Triangles in the phrase: These Granny Bunting Triangles by Lucy…. The link works. Hope it helps. I’ve never tried triangles! Looks like it will on the to-do list! They would be great coasters! Maybe I need to just make one big triangle. I can’t seem to find the pattern for this. It doesn’t show up when u go to that site ??? I need to make a blanket with these. Oh Nettie! I LOVE these! Thanks for sharing! Wonderful creation! @[1463834884:2048:Amberli Kephart]. These are cute!!! I will never understand why someone would put such a beautiful pattern here and not put a link to the instructions…Have spent 15 minutes trying to find it… Guess it is not meant to be! @[615848340:2048:June], please click where it says Granny Bunting Triangles in the phrase: These Granny Bunting Triangles by Lucy…. The link works. Hope it helps. Tara you need this you have never dewn a granny triangle! Nice work, need to try this. Thanks for the pattern. Ecan’t wait to start this. Oooh these are very cool…I’m gonna have to try these…thanks Pam. Stacie Fuhrman Santana, this pattern would be great for Mackenzie to try. experimented years ago with granny hexagons but never thought to do a triangle. This is a cool idea. Lori, they are gorgeous! Thans for sharing! 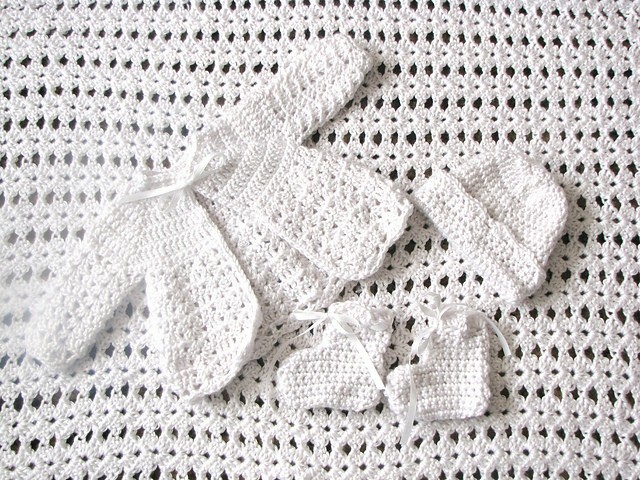 I’m in the process of making these and turning them into a preemie blanket. I wish people wouldn’t post things and lead you through a labyrinth of links to get to more links to nothing. What a waste of time! Never saw a triangle granny. Very pretty! I like things that are a little differant!!! I want to make a bag out of granny squares. IT be nice one to made . Does anyone have a picture of what they look like sewn together? Yes I can do this stitch. Cherie Adkins Haight just do like a square but with three, not four clusters. Looks like a great stash buster. Also looks like a lot of ends to sew in. This looks like a fun way to use up scrap yarn! Omg, I love this. I have to try it out. Deborah Lynn Myers I want to try the are! If you don’t have the pattern, why don’t you say ! I like these Heather Hall! I like those as well. Will have to give them a go. Beautiful. Would love to try them. I want the pattern for the triangles. I’m a newbie so I was wondering what to do with them once they are made? Sew them together in a pattern to make blankets and scarves. Same thing you would do with granny squares or African flowers. Hey! I wonder if these triangles are quick and easy to make and are absolutely gorgeous?? Wanda Turner Sory and Martha Sherrod, here’s you something different to try. Thanks Nina, they’re colorful and different. Rita-Tito Paiz…may have to try! I’ve been making these with scrap yarn. I’m not good at reading patterns but I was able to figure it out from looking at the picture. I can’t wait to get started on making an afgahn. So, is this pattern only available if you download the ad? Krystal Foss you might like this pattern! Such possibilities with this pattern. Saving for later. i know if I start another one right now I won’t finish the one I’m worried on and somebody is waiting for it. Going to use all my scrap yarn to make some of these for my blankets I am making as gifts for women shelters and the elderly. I love the looks of this. Thinking I may try it for one of the many afghans I need to make. I’m making an afghan from these……..can’t wait to see the finished product. Oranges and yellows for a Dorito look! Rebecca Patching this is a good video tutorial…Poppy might be interested. I just made one! Do I see another project coming on, Sarah? Why can’t I get pattern? I should imagine that if you keep adding rows, and use a soft yarn, you could actually wind up with a nice shawl to wear…..thanks for sharing the pattern. Crochet Granny Triangle Afghan Instructions link doesn’t work. If you click on where it says [Free Pattern] under the picture, it will take you right to the pattern and the tutorial….I had the same problem, so I tried the dialogue under the picture and it worked. Hope this helps. What do you think, Denise Denman? Does anyone out there have a copy of this pattern. I lost it a long time ago and can’t find it on the net. Hi Marie, they look lovely. I will have a look at the pattern. I love the look of grannys, but you want to why I haven’t tried one? The triangles have 7 different colors, that’s 14 ends to weave in! How do you stand it? I do love them, though! Long time ago I made a bunch of these but couldn’t figure out how to join them! I was 18! LOL, now I wish I had them because now I know how to join them! Lovely coloured triangles. Wl try. I love how the steam blocking has been explained – looks like I need to crochet another quilt!!!!!!! Definitely going to do this one! A change from hexagons!